Third-generation iPad owners became understandably upset last November when Apple announced a new sixth-generation iPad eight months after theirs went on sale. It was the first time the Cupertino company had launched an iPad within 12 months of its predecessor, but it looks like we’d better get used to it. Rumors have this week suggested that Apple is now looking to update its iOS devices every six months, introducing two every year. And according to one analyst, that’s exactly what’s going to happen with the next-generation iPads. 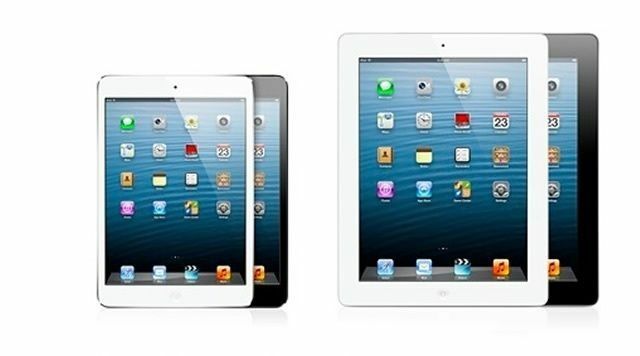 Brian White of Topeka Capital Markets revealed on Friday that his industry sources at CES 2013 have indicated the iPad mini 2 will make its debut alongside the iPad 5 this March. The latter will sport a new form factor that’s both thinner and lighter than its predecessor, but White did not confirm which of its components would be updated. Apple traditionally introduces a new processor and improved cameras, but if the company is switching to a six-monthly update cycle, it’s unlikely these things would be updated every time. As for the iPad mini, that’s supposed to look largely the same, but with updates to its processor and other internal components. White doesn’t mention that high-resolution Retina display we’re all anticipating, but it’s widely believed that this will be the biggest upgrade Apple makes with the second-generation device. In some ways, seeing yet another iPad update in the coming months is good: if you’ve been waiting for an iPad mini with Retina display, it means you won’t have to wait 12 months for it. But for many users, it’ll take a while for them to get used to seeing their iOS devices replaces by a brand new model every six months.